The play room in our family home has often been the scene of large and sometimes elaborate temporary installations made out of small pieces of wood. Football stadiums, railway bridges, Formula 1 circuits, high-rise buildings… you name it, scale-model replicas have all been produced (and then ceremoniously demolished). And the raw material used by my children is the wooden building block game, Kapla, manufactured and distributed out of a facility in Saint-Louis-de-Montferrand, 17 kilometres to the north of Bordeaux. What, then, is Kapla? 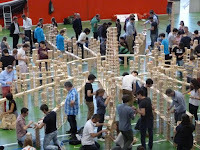 Kapla is a wooden block construction toy made up of identically-sized and shaped pieces of pinewood, with dimensions in the ratio of 1:3:15 (1 unit high, 3 units wide and 15 units long). The vital statistics of the blocks are in fact 117mm in length, 23.4mm wide and 7.8mm thick. The end-product is sold in boxes of 40, 100, 200, 280 and 1,000 and is available in natural pine colour, as well as a small variety of other colours. From then on, the concept is simple: the Kapla blocks are intended to be stacked in whatever shape or design the user chooses. The blocks do not have snaps or interlocking parts and the use of glue is most definitely not recommended. What you see is therefore what you get, and hours of fun are guaranteed for children, and indeed their parents and anyone else who happens to get their hands on a set of Kapla. The only enemy, particularly when building tall towers, is gravity. A Kapla block. It really is that simple and basic. Kapla, the name of which derives from “kabouter plankjes” (Dutch for “gnome planks”), was first launched in the late 1980s by Dutchman Tom Van der Bruggen. What had prompted his original invention was the restoration work he was planning on a château he had acquired in the Aveyron area of France. He wanted to build miniature mock-ups of the complex ideas he had in mind (for, say, the flooring and roofing), but was unable to produce what he wanted using commercially available cubes. He therefore dreamt up the “gnome plank” alternative, before later converting the idea into a commercial product. The high-quality unprocessed wood Van der Bruggen chose to exclusively use for Kapla was from the renewable pine forests of the Landes, to the south of Bordeaux; the company says this variety of wood is aesthetically-pleasing, particularly firm and naturally protected by its own resin. Very early on in the venture, it made sense to set up shop close to where the timber comes from, taking over an old winery close to the banks of the river Garonne in Saint-Louis-de-Montferrand. 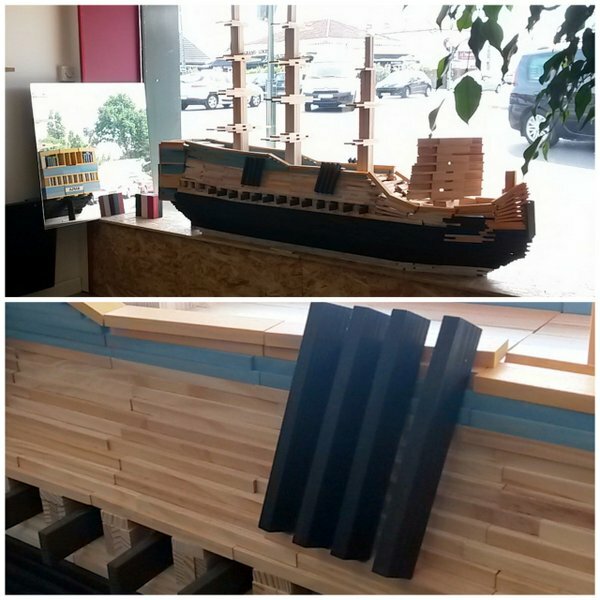 The Kapla enterprise took shape, gradually went from strength to strength, and is still doing well today under the management of Tom’s son, Jan Van der Bruggen. The company now shifts around 350,000 packs of Kapla each year to France (which accounts for around 50% of output) and other markets around the world. And the manufacturing process still starts and finishes at the 15-strong Saint-Louis facility. The timber, in the shape of large planks, is initially delivered here before being chopped down into smaller-sized pieces. It is then shipped off to Tangier in Morocco, where the more intricate fine-tuning and handiwork is carried out by a further full-time 80 employees. The packs then make a return trip to Saint-Louis before being sent on their way. The Kapla headquarters in Saint-Louis. I can think of worse working environments. Kapla subsequently takes on a life of its own. 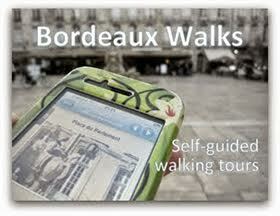 In France it is distributed to toyshops and supermarkets and ends up in schools, nurseries and private homes. In Sweden, the first market to take Kapla to its heart (a former teacher signed an early deal to import the toy), it is sold directly to schools who use it for pedagogical purposes, and the education system there makes it available for parents to purchase too. There are numerous tales of extreme Kapla construction, such as a Dutchman who used 21,000 Kapla bricks to build a miniature version of Las Vegas. Elsewhere, one team of consenting adults reportedly produced a tower which was 15.57 metres high. 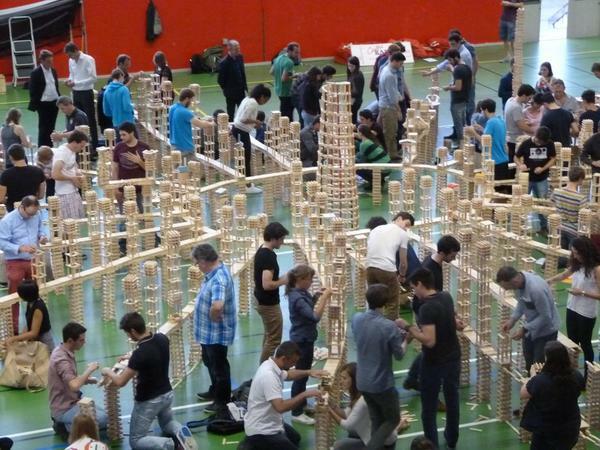 And, when researching this piece, I read about a “Kapla challenge” in Lyon which dozens of science engineering students took part in. Closer to Bordeaux, Eysines hairdresser and Kapla enthusiast Martine Lohiague exhibits large-scale models in the window of her salon, and is supported in her endeavours by Kapla themselves. Past achievements include a railway bridge, high-rise buildings, and Christmas-themed objects. More recently, her imposing model of the Chaban-Delmas lift bridge (which totalled 3,000 Kapla bricks) was featured in Sud Ouest. I popped in to see her latest creation, an impressive replica of the Hermione frigate, built to tie in with the recent Fête du Fleuve. This project initially took 27 hours to build (although later fine-tuning caused that figure to rise further) and totals an incredible 3,500 bricks! During our chat, Martine revealed that with the summer season upon us she now plans to build replicas of the Cabanes Tchanquées, the emblematic huts which stand proud in the middle of the Bassin d'Arcachon. I'll be returning to her salon soon to hear more about her hobby, which is gradually becoming the talk of the neighbourhood! Kapla is therefore doing very well and all of this has been achieved with little or no form of traditional marketing or advertising for the brand – the rise of the product has been through simple word of mouth over the years. Then again, the company has found effective alternative means of generating exposure, such as by publishing hardback books featuring interesting designs, and by creating dedicated Kapla activity centres in Paris, Lyon, Nantes, Nîmes and on the island of La Réunion. All in all, it does feel like Kapla is the wooden construction toy that it’s OK to like, and getting to grips with it is as simple as it is addictive. 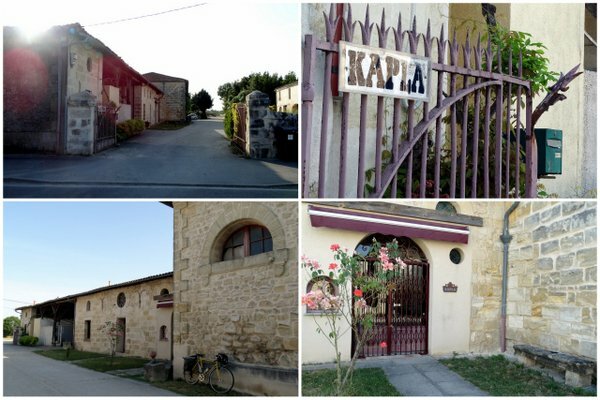 And yes, despite its Dutch roots, here in Gironde Kapla is very much a local production. For the sake of posterity, here's the rudimentary Pey-Berland Tower my son Dorian and I built for the purposes of this article and the accompanying video clip. Madonna and child played by Barcelona's Carlos Puyol. 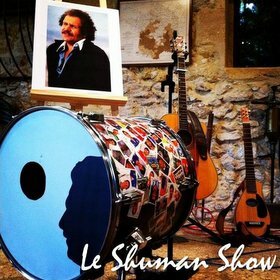 Cet article est également disponible en version française. I did return to see Martine Lohiague and you can read the interview (and view the accompanying video) here.